The first four Doctor Who Revisited specials from BBC America will air tomorrow on UKTV. · a montage of the Doctors’ key moments, iconic lines and monsters and contributions from Steven Moffat, John Barrowman, David Tennant, Caroline Skinner and Neil Gaiman, among others. These specials are the perfect companion pieces to some of the classic and newer Doctor Who series. Fifty years ago on the BBC the adventure began with The First Doctor, William Hartnell. Explore the TARDIS, meet his companions and confront his most famous foes the Daleks. Features: Stephen Moffat, David Tennant and John Barrowman. For fifty years the BBC has thrilled fans with Doctor Who’s adventures in space and time. Meet The Second Doctor, Patrick Troughton – the first to face the Cybermen. Features: Frazer Hines and Wendy Padbury. Meet The Third Doctor, Jon Pertwee as he consults for UNIT and faces The Master. Features: Stephen Moffat, Caroline Skinner and Hugh Bonneville. 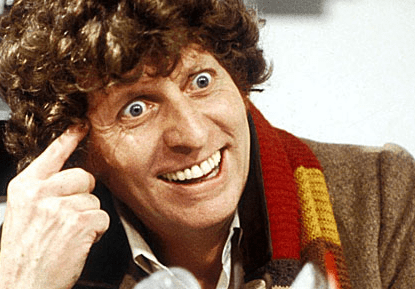 Meet The Fourth Doctor, Tom Baker as he visits Gallifrey and meets Davros, creator of the Daleks. Features: Stephen Moffat and Louise Jameson. From 4:30pm Sunday, August 18 on UKTV. This was the one I said it was, seen up to Doc 7, but still great to see again. Thanks, so it’s not the one I’m thinking about. I’ll check out anything DW related. @craig its on my EPG has been for a week! I think your thinking of the 11 months 11 doctors, they have been showing. They showed up to the eighth doctor movie, last week they showed the proms. Will we get to see these on FTA? Seems a bit odd that they are not airing on the ABC. Is this a late change? As another DW Special is listed at that time on my EPG. This has been a while coming, as it started airing in January in the US, on Doctor each month, the 7th recently aired.